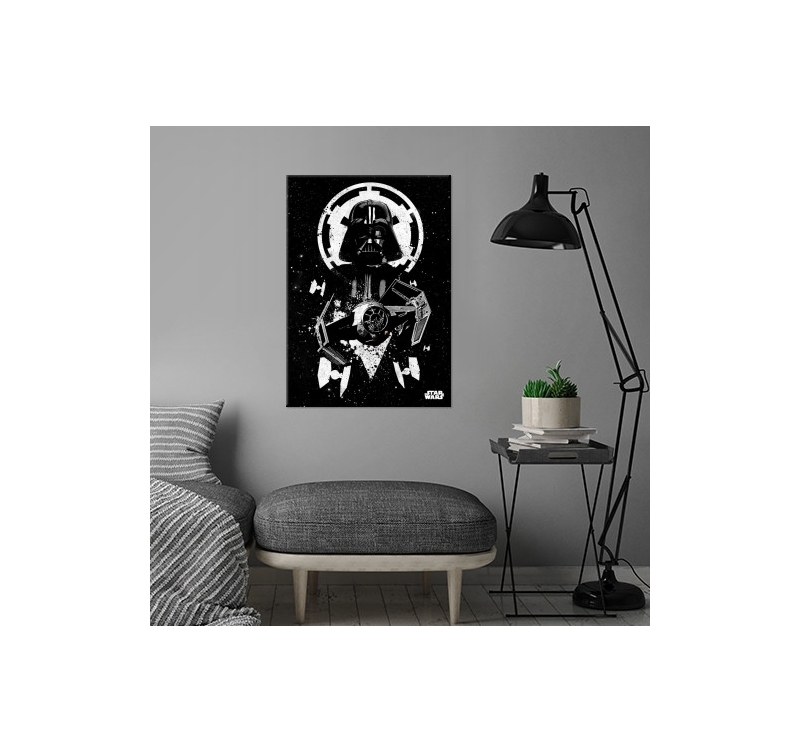 The famous Darth Vedor on a large metal poster ! 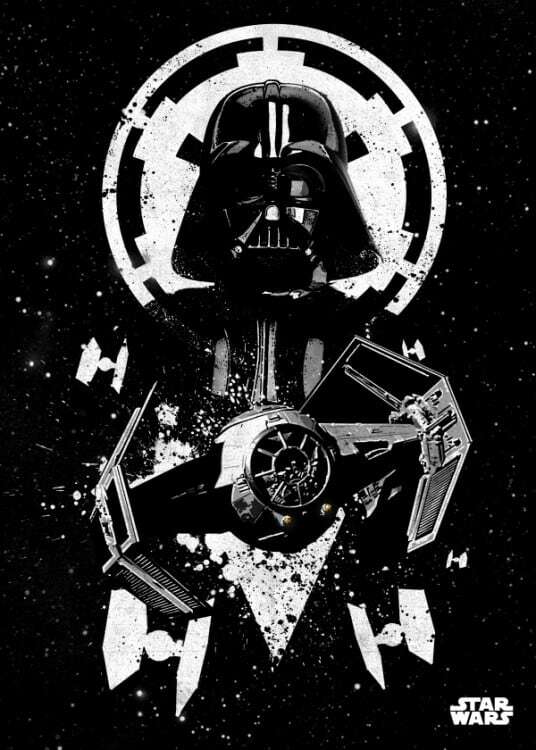 This wall poster shows the Tie hunter, the emblem of the first Star Wars trilogy. 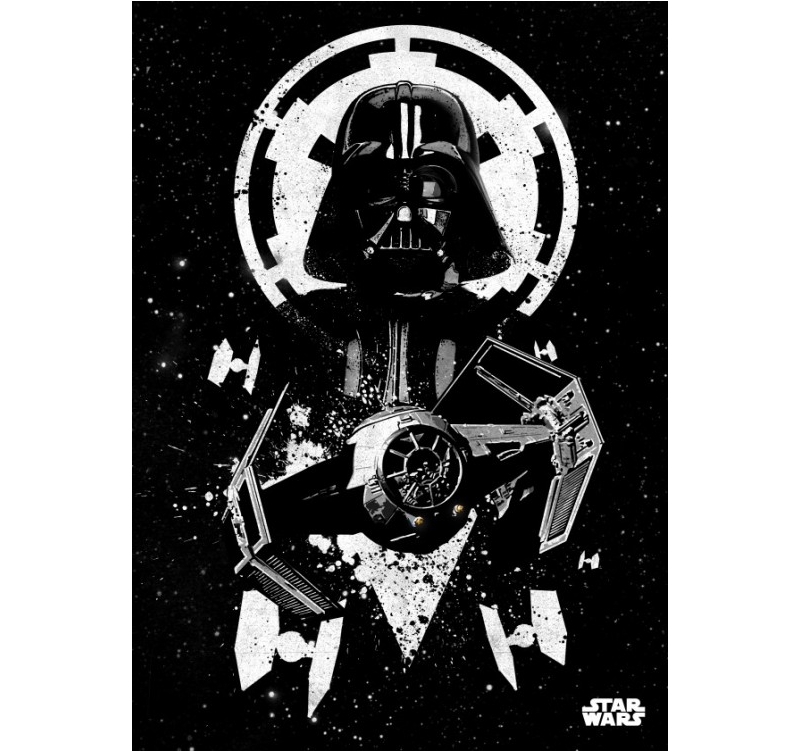 Dimensions of this Star Wars original poster are 48 x 67,5 cm. 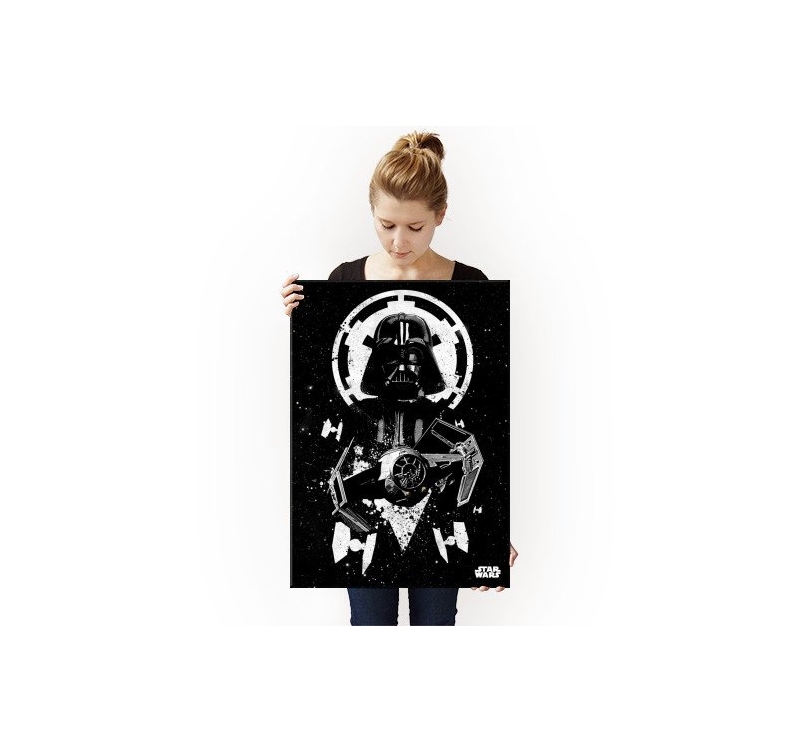 Free delivery for metropolitan France and Belgium for this original Star Wars poster. Darth Vedor is undoubtedly the most loved villain of all science fiction films. 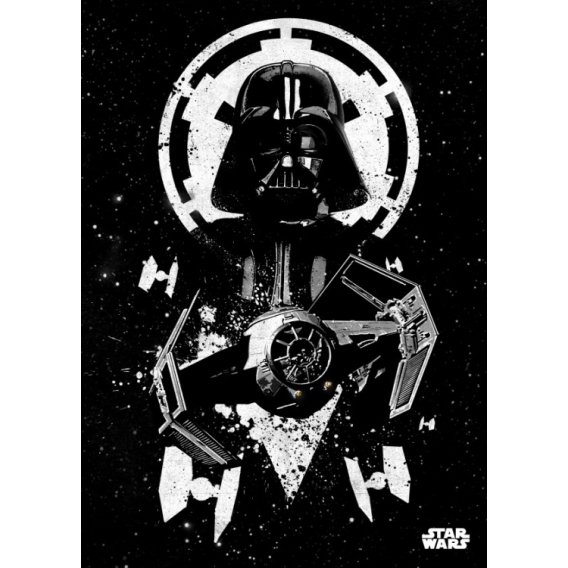 The Starwars metal poster shows the key character of all the films. He is no other than Anakin Skywalker who passed to the dark side of the Force when he was one of the most powerful Jedis. This original metal poster shows him artistically. This metal Star Wars poster particularly refers to episodes 4, 5 and 6. 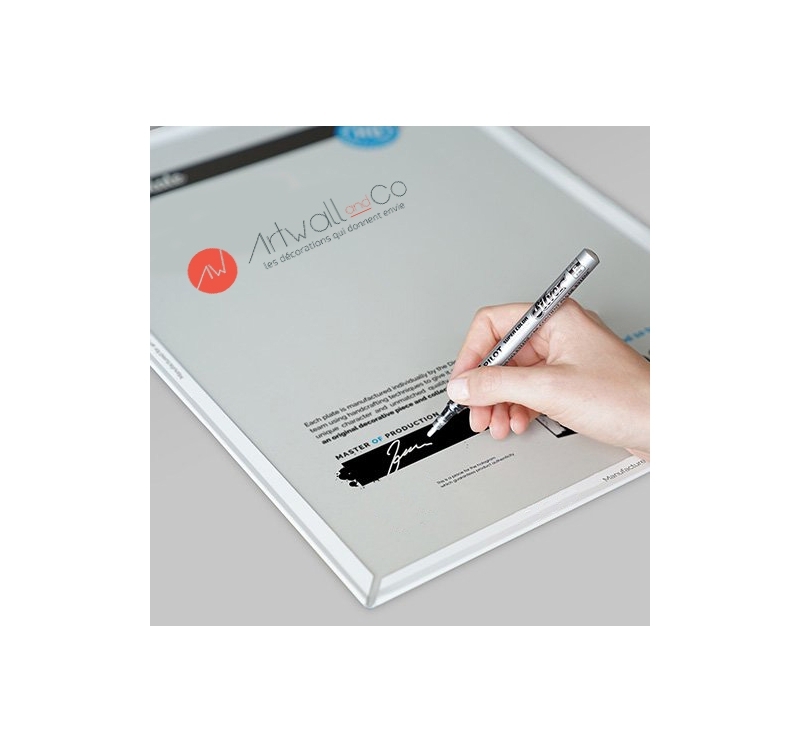 Our Star Wars wall posters are equipped with a hologram and signature on the back making them beautiful objects of collection. 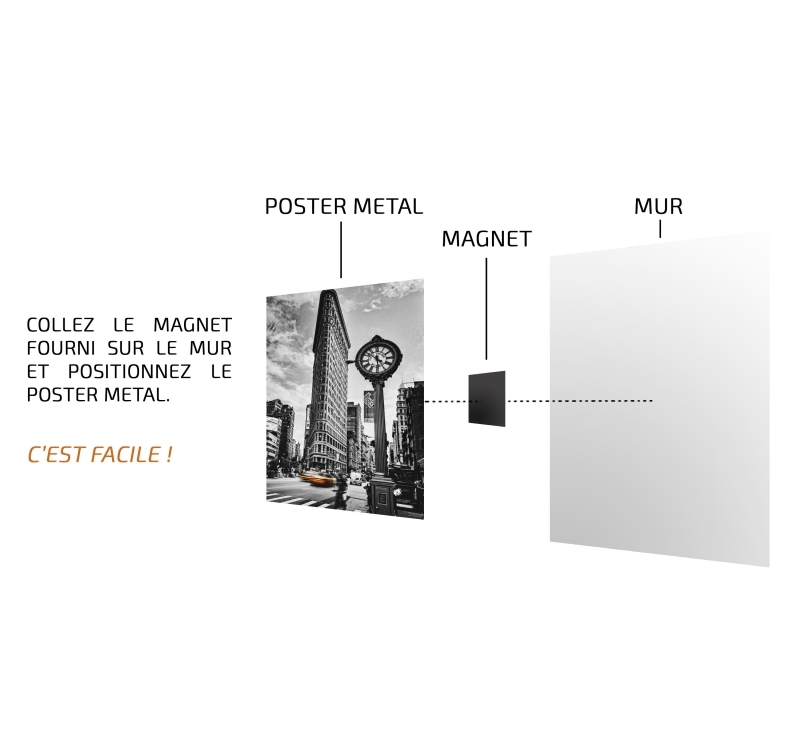 To hang them on the wall without drilling a hole, a magnet is delivered with the metal poster.